IT Xpress will be closed today, June 10th, while we do a full network upgrade for a client. Does it seem like your network goes up and down often? We can help! Already working with an ITXpert? Click the button below to get connected with them! Having IT Issues? Submit your information today and have IT Xpress propose some solutions! IT Xpress is proud to be a Thumbtack Pro business. Use Thumbtack to get quotes from area professionals for whatever jobs you need done. Usually within 24 hours! Let our IT Xperts keep your system up to date, safe, and secure all year long! Starting at only $99/year! Bundle and get award winning anti-virus and unlimited online backup for less than $25/month! 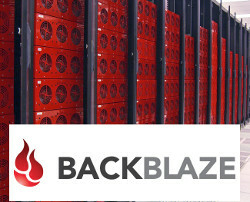 Get Unlimited Online Backup for only $5/mon or $50/year. Ensure theft, hard drive failure, virus infections, etc. cannot erase your precious memories and important data! Copyright © 2015 - IT Xpress - proudly powered by WordPress and the Illacrimo Theme created by: Design Disease & brought to you by LifeSpy.